Decoupage lets you make a number of fun items for your home. Learning how to decoupage opens up a variety of crafting possibilities. Whether you're looking for a way to redecorate your home or searching for a fun craft project to enjoy with your child, decoupage is the answer. The term decoupage is used to refer to the craft of covering an object with paper cutouts accented with special painting effects such as gold leafing. When the paper is sealed with decoupage medium and sanded to a smooth finish, the result looks like painting or inlay work. The origin of decoupage can be traced back to East Siberian tomb art, although people in Japan, China, France, Italy, Poland, and Germany have been practicing decoupage in one form or another for several hundred years. Decoupage is easy to do. If you can cut and paste, you can learn how to decoupage. Decoupage is an inexpensive way to give old items a fresh new look. This technique is a favorite among those who are searching for affordable home décor ideas. Decoupage provides a way to turn saved memorabilia into a meaningful object to be displayed in your home. For example, you can cover a picture frame with an old travel map and ticket stubs to make a unique display for your favorite vacation photo. Dollar stores, discount stores, thrift shops, and garage sales are great sources of items to use in your decoupage projects. As long as the item has no structural flaws, it can easily be decoupaged to give it a fresh new look. Gather the papers you wish to use in your decoupage project. 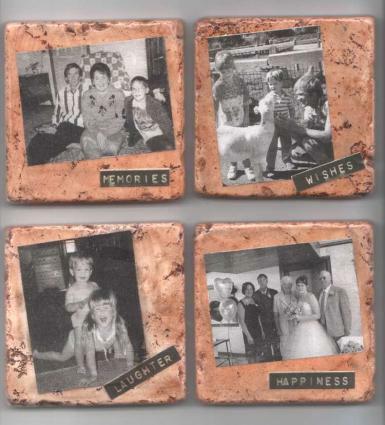 Common choices for decoupage include copies of family photos, scrapbook paper, wrapping paper, greeting cards, and computer generated clip art. Feel free to be creative! Clean the surface of the item you plan to decoupage to make sure it is free of dust and dirt. If the item has already been painted or finished, it may need to be sanded before you begin. Adhere cutouts to the item using Mod Podge or the decoupage medium of your choice and a foam paintbrush. Remember that a thin, even coat of adhesive will give the best results. Use a popsicle stick or a brayer to smooth out any wrinkles and air bubbles. You want the paper to adhere flat to the surface when it is dry. Apply a thin layer of Mod Podge over the entire surface of the project. Wipe up excess glue around your work area with a damp rag. Let your item dry completely. Repeat steps 5-7 as necessary. Generally, you'll want at least three coats of Mod Podge on your item to make sure it stays protected. Decoupage is a great craft for preschoolers and young elementary students to enjoy, since kids this age love cutting and pasting. An old shoebox covered with decoupaged images makes a wonderful place for a child to keep his/her special treasures. However, decoupage can be quite messy. You'll want to make sure your young crafters are wearing aprons to protect their clothes and working in an area away from objects that could be damaged by spilt adhesive.